The cryptocurrency space has changed a lot since the first blockchain transaction on the Bitcoin network. Along with the well-known Proof of Work and Proof of Stake algorithms, other consensus mechanisms were proposed, with alternative methods for reaching consensus within a blockchain system. The PoW consensus algorithm used by Bitcoin is the most reliable and secure in existence today. However, it is not really scalable. Bitcoin, as well as other PoW-based blockchains, have a limited performance in terms of transactions per second (TPS). Such limitation is related to the fact that Bitcoin relies on a distributed network of nodes, which need to reach consensus and agree on the current states of the blockchain. This means that before a new block of transactions gets confirmed it needs to be verified and approved by the majority of network nodes. Therefore, the decentralized aspect of Bitcoin is not only providing a secure and trustless economic system but it is also limiting its potential to be used on a larger scale. In regards to the amount of transactions per second, Proof of Stake blockchains usually present a better performance than Bitcoin. However, the difference is not that significant and PoS networks did not really manage to solve the scalability problem. In this context, the Proof of Authority is currently being implemented as a more efficient alternative because it is able to perform much more transactions per second. Proof of Authority (PoA) is a reputation-based consensus algorithm that introduces a practical and efficient solution for blockchain networks (especially the private ones). The term was proposed in 2017 by Ethereum co-founder and former CTO Gavin Wood. The PoA consensus algorithm leverages the value of identities, which means that block validators are not staking coins but their own reputation instead. Therefore, PoA blockchains are secured by the validating nodes that are arbitrarily selected as trustworthy entities. The Proof of Authority model relies on a limited number of block validators and this is what makes it a highly scalable system. Blocks and transactions are verified by pre-approved participants, who act as moderators of the system. PoA consensus algorithm may be applied in a variety of scenarios and they are deemed a high-value option for logistical applications. When it comes to supply chains, for example, PoA is considered an effective and reasonable solution. The Proof of Authority model enables companies to maintain their privacy while availing the benefits of blockchain technology. Microsoft Azure is another example where the PoA is being implemented. In a few words, the Azure platform provides solutions for private networks, with a system that does not require a native currency like the ether ‘gas’, since there is no need for mining. Some consider PoA to be a modified PoS, which leverages identity instead of coins. Due to the decentralized nature of most blockchain networks, PoS is not always suitable for certain businesses and corporations. In contrast, PoA systems may represent a better solution for private blockchains because its performance is considerably higher. 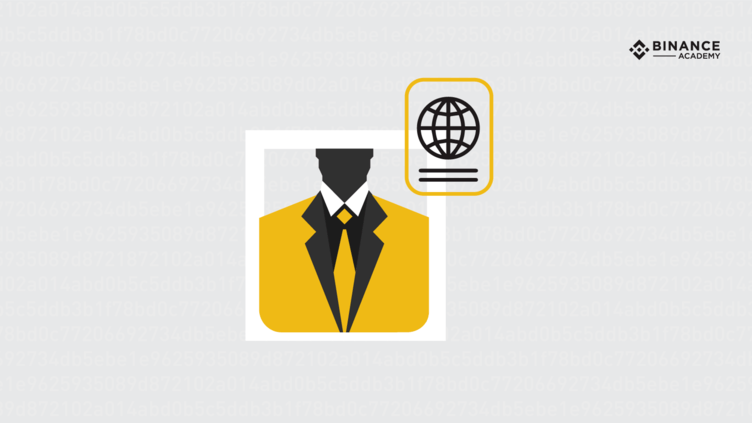 valid and trustworthy identities: validators need to confirm their real identities. difficulty to become a validator: a candidate must be willing to invest money and put his reputation at stake. A tough process reduces the risks of selecting questionable validators and incentivize a long-term commitment. a standard for validator approval: the method for selecting validators must be equal to all candidates. The essence behind the reputation mechanism is the certainty behind a validator’s identity. This can’t be an easy process nor one that would be readily given up. It must be capable of weeding out bad players. Finally, ensuring that all validators go through the same procedure guarantees the system’s integrity and reliability. The perception of the PoA mechanism is that it foregoes decentralization. So one could say that this model of consensus algorithm is just an effort to make centralized systems more efficient. While this makes PoA an attractive solution for large corporations with logistical needs, it does bring some hesitation - especially within the cryptocurrency scope. PoA systems do have a high throughput, but aspects of immutability come into question when things like censorship and blacklisting can be easily achieved. Another common criticism is that the identities of PoA validators are visible to anyone. The argument against this is that only established players capable of holding this position would seek to become a validator (as a publicly known participant). Still, knowing the validators’ identities could potentially lead to third-party manipulation. For instance, if a competitor wants to disrupt a PoA-based network, he may try to influence public known validators to act dishonestly in order to compromise the system from within. PoW, PoS, or PoA all have their own unique advantages and disadvantages. It is well known that decentralization is highly valued within the cryptocurrency community and PoA, as a consensus mechanism, sacrifices decentralization in order to achieve high throughput and scalability. The inherent features of PoA systems are a stark contrast from how blockchains have been functioning until now. Still, PoA presents an interesting approach and cannot be disregarded as an emerging blockchain solution, which may suit well for private blockchain applications.